Hey peeps. It’s Technique Tuesday sneak peek day 2. If you missed yesterday’s sneak peek day 1 you can click and see what I made. We are just one day away from release day. 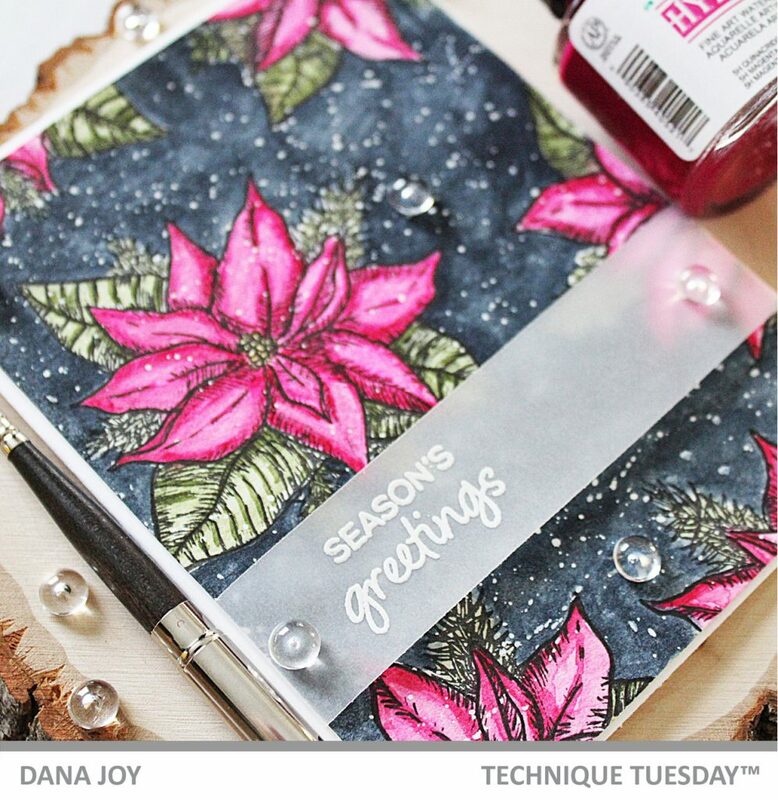 Today I’m sharing the beautiful Poinsettia stamp set. OH MY WORD I can’t begin to tell you how much I loved creating this card. This image is the perfect size to make beautiful watercolor card panels. I started this card off by stamping the image randomly onto a piece of watercolor paper. Next I carefully colored each image in bright pink watercolor. I used an image I found on the internet to get the perfect color combo for this card. I used two different watercolors on my card using the Dr. Ph Martin hydrus ink as well as my Daniel Smith watercolors. After each flower was colored I created an ultra dark background to really make them pop. I decided to add some white splatters using white gouache and a paint brush. I just tapped on the end of my paint brush to make the splatters. Just make sure if you do this is gouache is watered down well. Then I set it aside to try. Next I created a sentiment strip using vellum as I didn’t want to stamp the sentiment directly on the card panel and wrapped it around my watercolored piece. I adhered this to a white card base and all that was left was to add a few embellishments. I have to say I am really loving this card. Thanks so much for stopping by today. Make sure to swing by the other design team members blogs to see what they have in store. See you back here tomorrow for release day. Hey peeps. It’s Technique Tuesday sneak peek day 1. It’s the end of the month and it’s the build up to release day for Technique Tuesday. 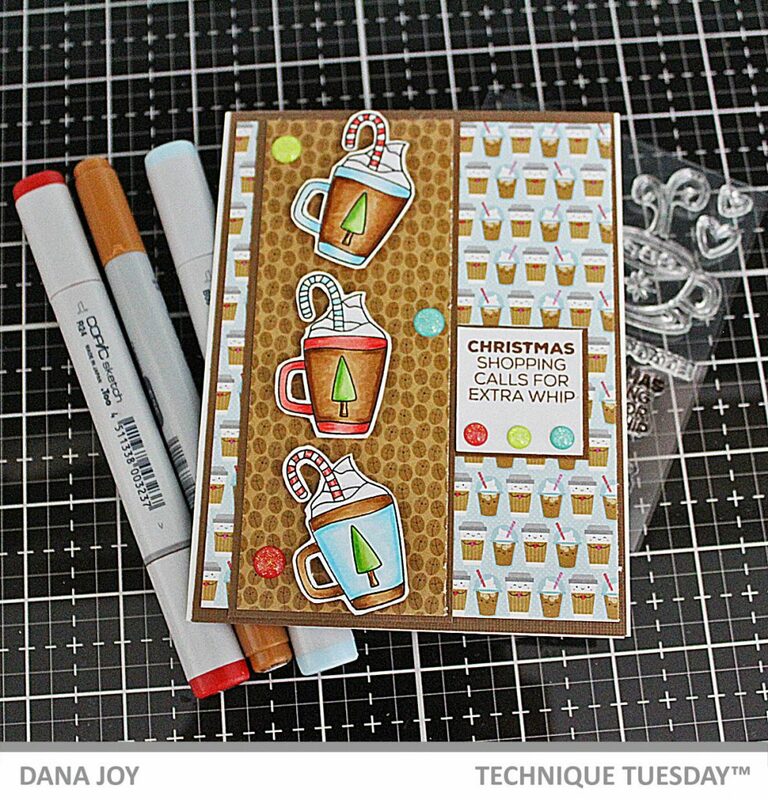 Today I’m sharing the Christmas Cocoa stamp set. 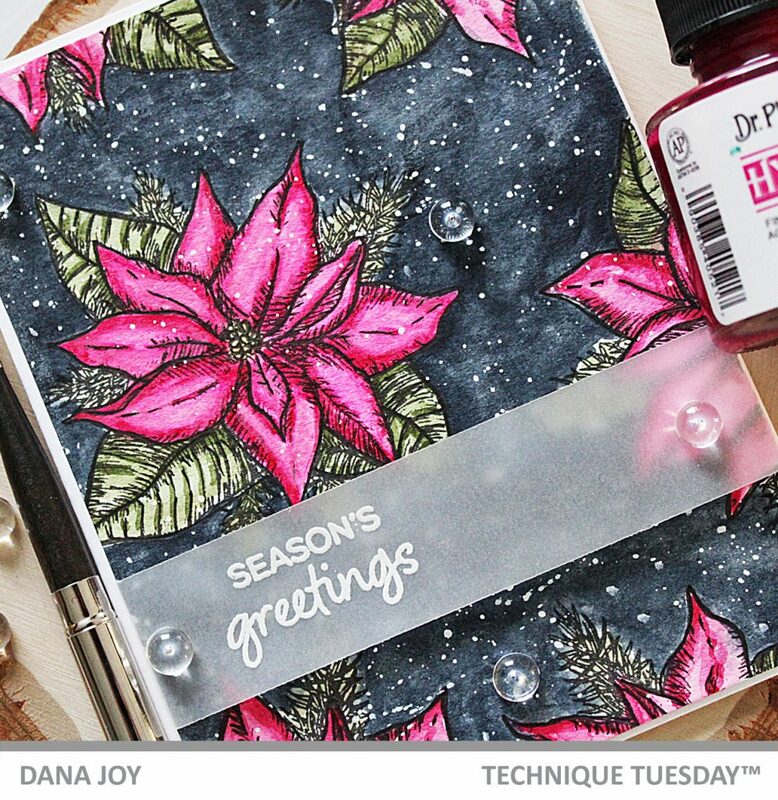 This stamp set perfect for those warm and cozy holiday cards. While making this card I just had to sip on some hot chocolate. 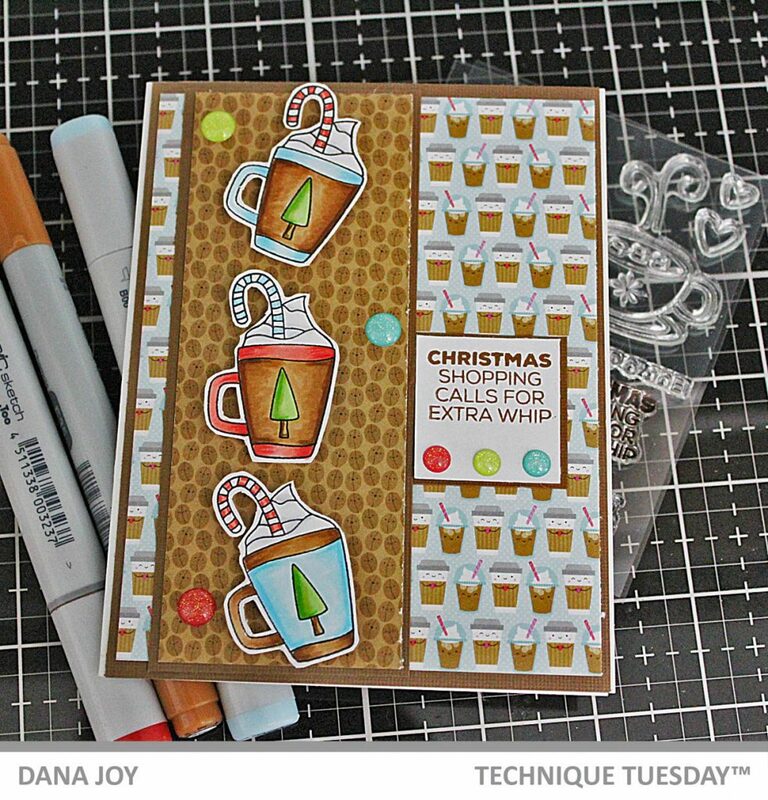 For my card today I stamped out the the mugs from this stamp set and colored them with Copic markers. 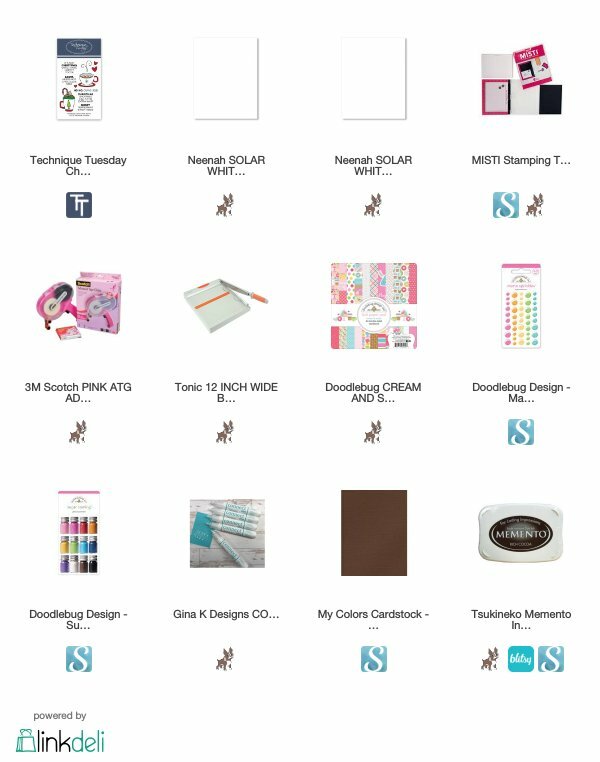 When I color with any medium and I’m using designer paper, I always make sure to match my medium to the colors displayed in the designer paper pack. This helps me get a very cohesive looking project. One I colored up my images I fussy cut them out and added just a touch of glitter to my whipped cream. Next I stamped out a sentiment and layered it with some brown card stock for a nice border. I hope you enjoyed your visit today. Make sure to swing by here tomorrow for more sneak peek inspiration. 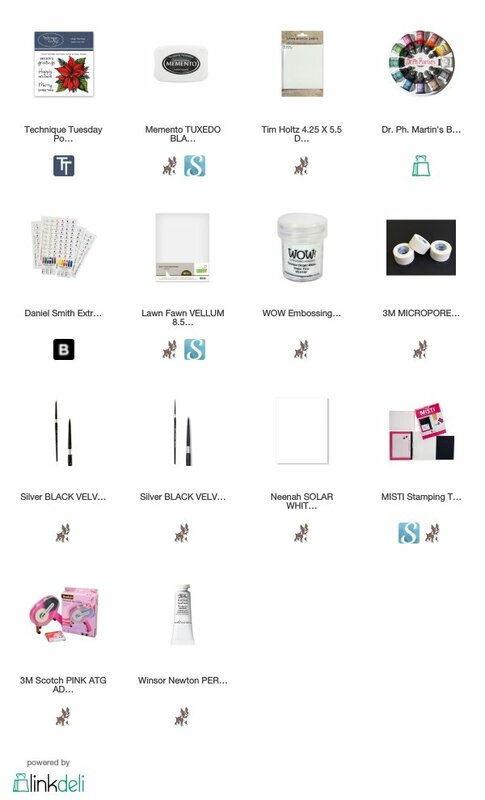 All products will be available Nov 1st in the Technique Tuesday store. Hey peeps. 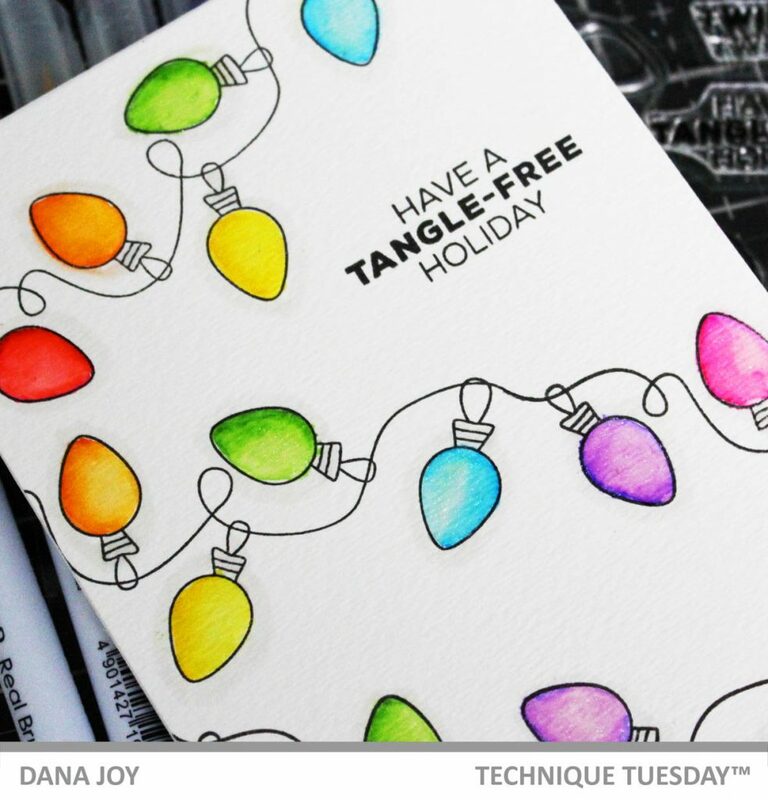 I’m back sharing a quick coloring tutorial using the adorable String of Lights stamp set from Technique Tuesday and some zig markers. 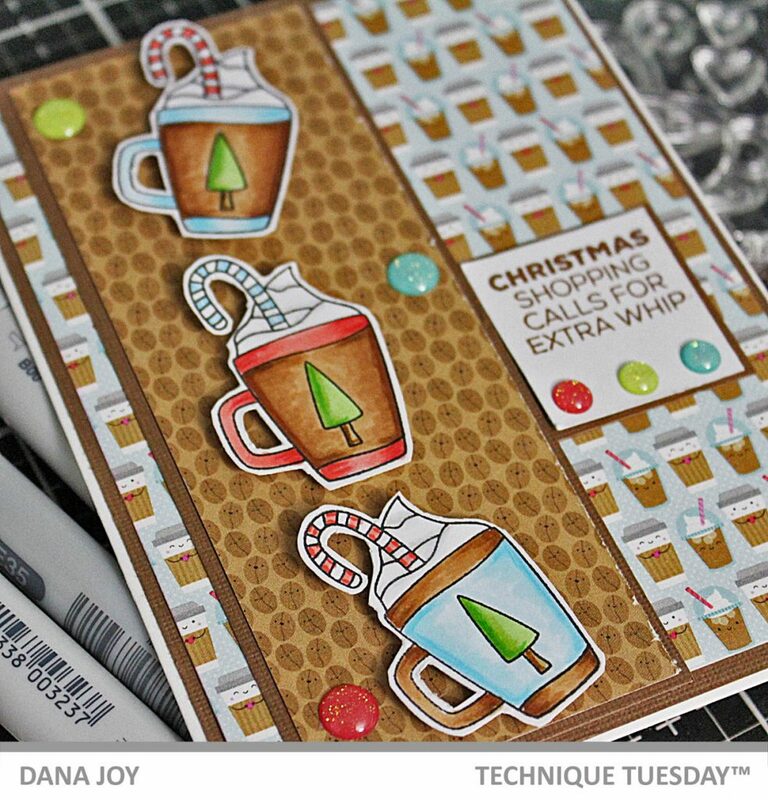 I’ll show you how to extend your string of lights to fit across and entire card panel. Thanks for stopping by today. See you back here soon. Hey peeps. Happy World Card Making Day! 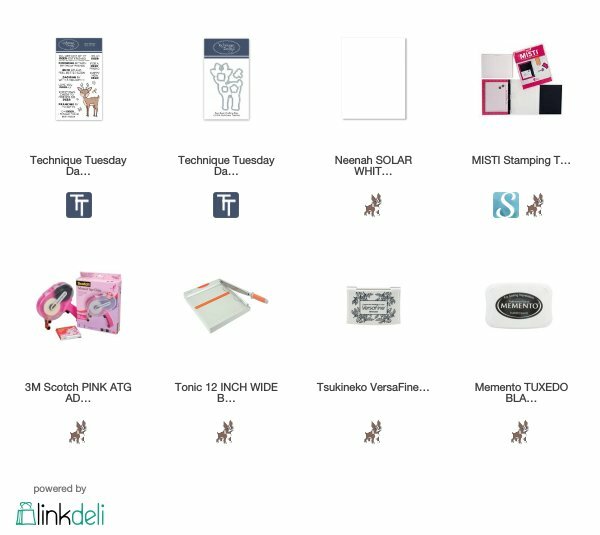 I’m so excited to be a part of the WCDM blog hop with Technique Tuesday. 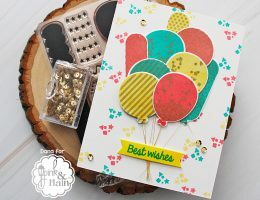 We have some awesome projects to share with you for this great hop along with a chance to win a gift certificate to Technique Tuesday. 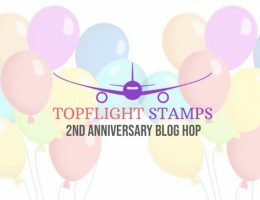 Also for the hop we have a coupon code for you to use at check out to get a free featured stamp set just for this hop. 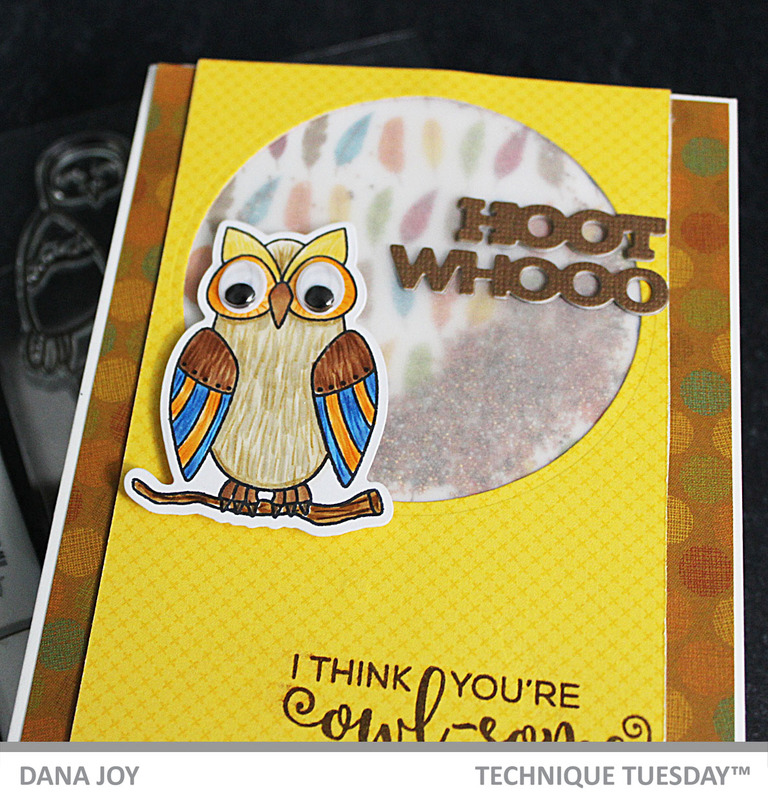 For my cards today I’m featuring the You’re Owlsome stamp set from Technique Tuesday. This stamp set can be yours for FREE. 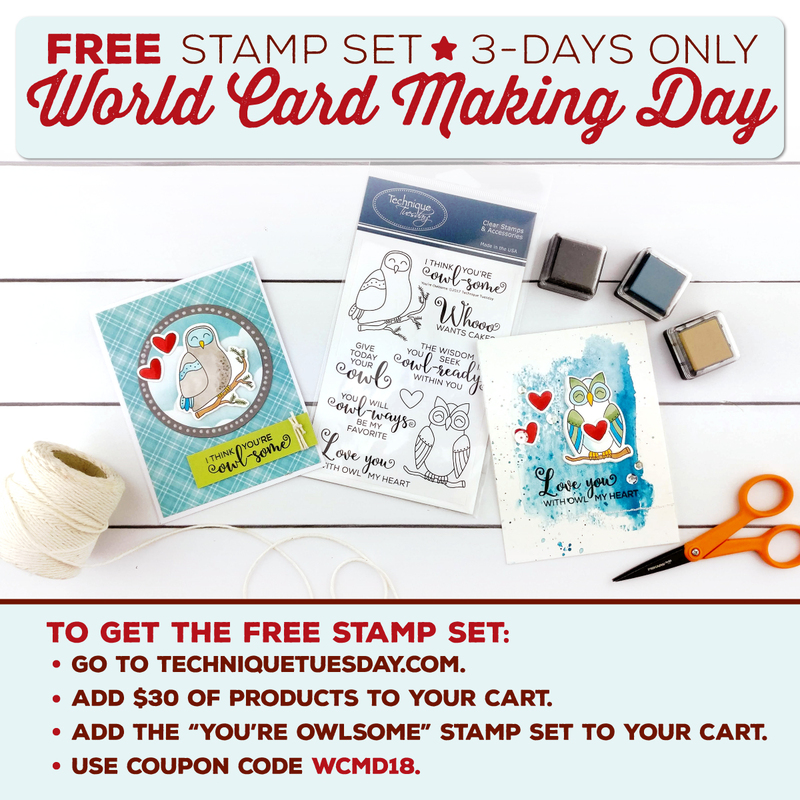 All you have to do is purchase $30 in products from Technique Tuesday, add the You’re Awesome stamp set to your card and at checkout put in the WCMD18 and the You’e Awesome stamp set will be free. Yup, FREE peeps!! For my first card I colored up my owl with Copic markers and paired it with some fun paper from Doodlebug Designs. I cut my paper on a diagonal and flipped one piece over to use the second side of the paper. 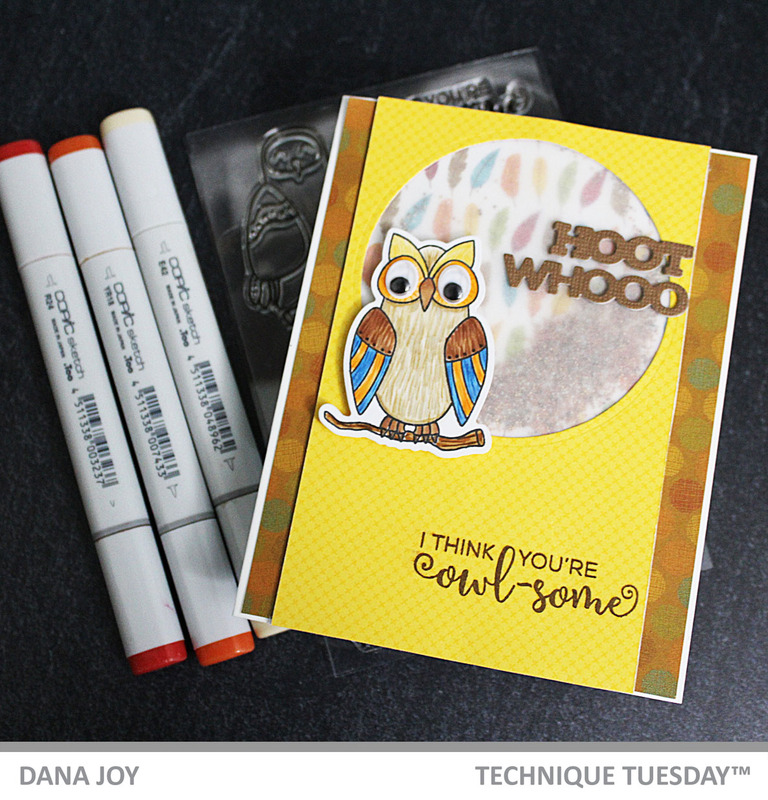 I glued on some goggly eyes onto my owl and started to build my card. I placed the pattern paper on the left side of the card to allow myself some space for a sentiment. I stamped the sentiment in blue ink to coordinate with the colors in my background paper. All that was left was to pop up my adorable owl. For my second card, I deiced to make a simple shaker card. I again colored my image with Copic markers and used some pretty designer paper to make the card panel and shaker area. I used vellum instead of plastic to keep the background a little bit softer and filled my shaker part with micro beads. I cut out the sentiment three times in brown cardstock and stacked them to make them sturdy. Next I stamped a coordinating sentiment on the yellow designer paper and put my card together. I placed my owl off to the left of the circle leaving enough room for you to see all the shaker elements. For this owl I used a different pair of eyes to make it even cuter. Now it’s time to work your way around the hop. 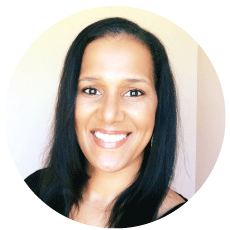 Don’t forget to leave a comment on each blog for your chance to win a gift certificate to Technique Tuesday. You can leave your comment until October 8th 2018. Winner will be announced on October 10, 2018. Happy hopping everyone. I’ll see you back here soon!